I came across a sign on a North County highway that read: “I will build an OWL BOX on your property for $----” It made me want to write a sign that says: “I will take the BEES out of your OWL BOX for $----.” Many people are now recognizing that owl boxes very often become the home of bees that can and do turn aggressive. Owls have been called “The Perfect Predator” because of their amazing ability to pinpoint rodents that move about in the darkness. Their ears are located at differing levels on their head which gives them an uncanny ability to hear the distance and precise location of their prey. Their wings are built for stealth rather than for speed and the feathers are tapered in such a way that they fly almost soundlessly. All in all, they are excellent night-time rodent hunters. More tomorrow…. 1. Owls eat mice and rats much more than gophers. 3. Gophers spend very little time above ground where the owls can find them. A large, aggressive, Great Horned Owl might move in on another smaller owl’s territory, but for the most part, owls will not seek a nest that is located very near to another owl’s hunting ground. Those calls that you hear from owls at night are often attempts by an owl to establish a hunting ground or to protect one! The most common residents of owl boxes in this area are honeybee hives, and unattended bee hives are a repository for parasites, diseases, and instincts that are the bane of local bee keepers. ALL unattended bee hives will eventually turn aggressive, some of them become a serious threat to people or animals that may pass by, and all of them are a liability for the property owner. An owl box is an excellent idea if it is well cared for and as long as you are not counting on an owl to get rid of your gophers. Multiple owl boxes are seldom useful unless you expand the number of boxes as an owl family grows. Ideally, the well placed owl box should be accessible for bee keepers and you should clean out the Black Widow spiders just before the nesting season. It is important to be able to lower the box to the ground, or have a good place to anchor a ladder to reach the box for maintenance. Owls prefer to live about 15 feet off the ground, but they will nest in a higher box if it is in a tree. 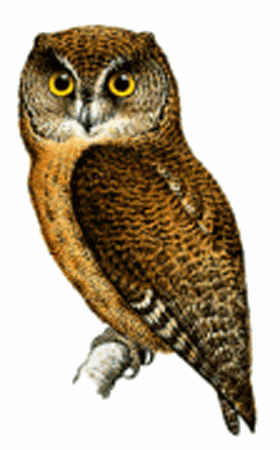 Owls symbolize wisdom and spiritual power in our literature and folklore. It is proper to honor and protect them when we are given the opportunity, but it is a mistake to depend on this “perfect” predator to rid our properties of vermin. It goes beyond their abilities and will only lead to disappointment with this beautiful raptor.